Our floors are done y’all. The workers finished up about 5 p.m. last night and as of this morning, they were safe to walk on in stocking or bare feet. I grabbed some pics with my cell phone because I can’t find the camera in all the mess. Here’s the family room before. 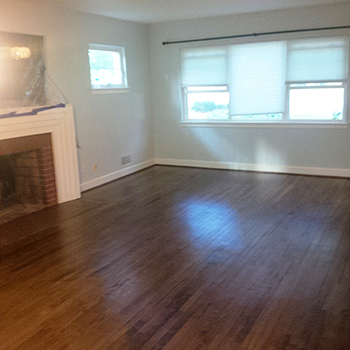 Here’s the family room with the bare wood. And here’s the family room now. Here’s the kitchen before we started. Here it is with the bare wood. 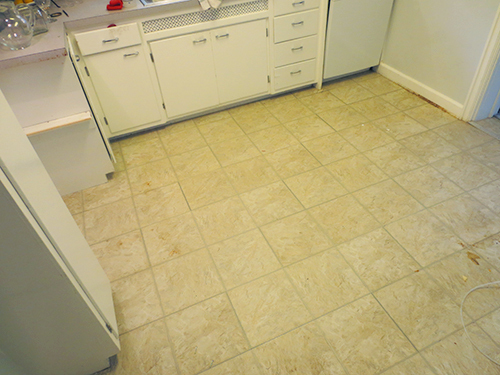 This picture most accurately shows the new color of the floors and all the grain detail that you can see. The family room is really difficult to photograph most of the year because it doesn’t get any unfiltered light. Hopefully once all the leaves fall, I will get some better photos. 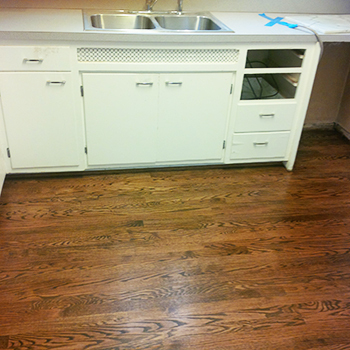 We really love the color and all the detail you can see in the wood grain. 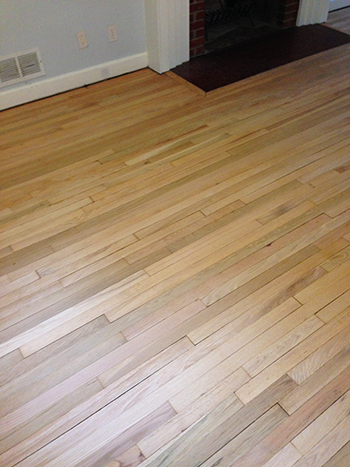 After sanding and staining the wood, it was sealed and then covered with three coats of Bona Traffic water-based polyurethane. We went with this option because it is a commercial grade finish that is supposed to last twice as long as their residential finish Bona Mega. We think that with our big dogs, the extra protection is worth the extra expense. 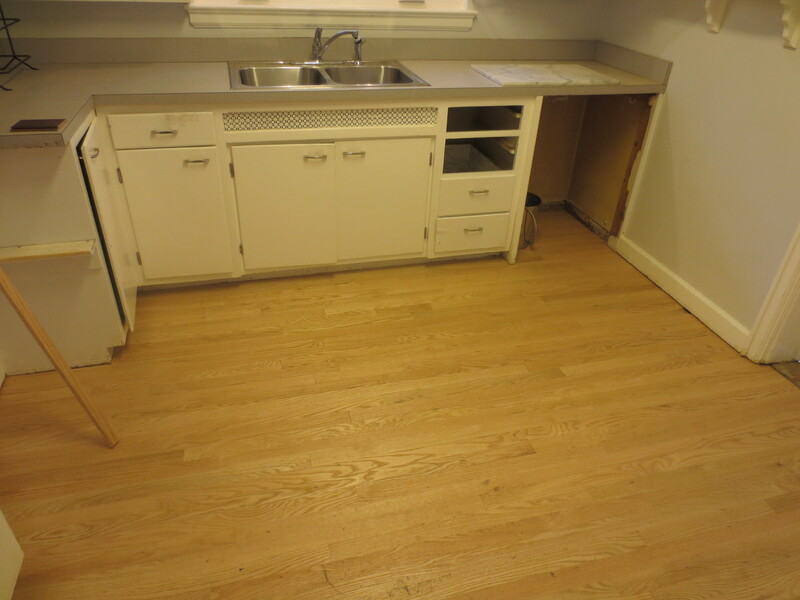 We had budgeted $4,500 for the project before we decided to add the kitchen floor as well so to come in only $16 over budget and get an extra 100 sq. ft. of finished product feels like a win to us. 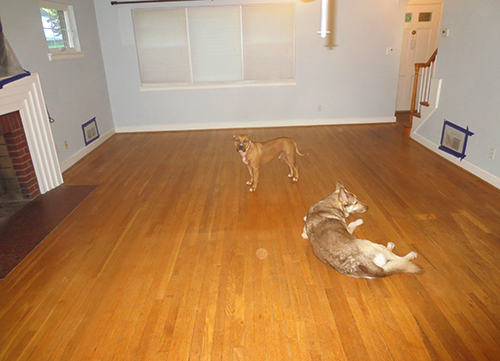 We are back in the house as of today, but are going to wait until next weekend to put the furniture back to make sure the floors are good and hard. The weather has been really nice this past week and it is supposed to stay that way through the weekend so we are going to get some fall-related work done in the yard. Next week I will have a recap post that looks at how our spring front yard makeover is fairing 8 months later as well as a look at the changes we’re now making to the back yard.